The tenth annual Pink in the Rink game took place at the Peterborough Memorial Centre on Saturday night. The Peterborough Petes, in association with the Canadian Cancer Society, are pleased to announce that the campaign raised $80,811.11, bringing the ten-year total to over $697,000. 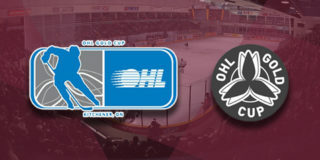 The Oshawa Generals took the game by a score of 6-3 in front of a season-high 3,852 fans – the team’s highest attended game since Pink in the Rink on February 9, 2013. 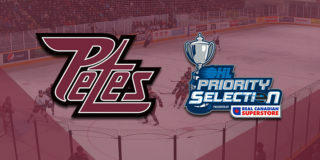 Petes players wore special Pink in the Rink fundraising sweaters, which were sold in a post-game live jersey auction. Other fundraising initiatives at the game included a chuck-a-ball, silent auction, and bucket pass, which combined with t-shirt sales and the online fundraiser to bring the all-time total in excess of $697,000. More donations are expected to be received over the coming days. 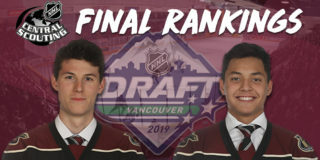 Highlights of Saturday’s fundraiser included Max Grondin’s game-worn jersey selling for $1,200, and a golf package selling for $575 in the silent auction. Petes alumni Steve Larmer (1977-78) and Cameron Mann (1993-97) were the honourary co-chairs. 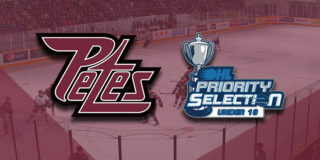 The Petes are back in action on Thursday, February 7 at 7:05pm when they host the league-leading Ottawa 67’s. Tickets are available through the Baker Tilly Box Office in person, over the phone at (705) 743-3561, and online.